2016 habe ich das Handbuch Shopware: Das Handbuch für Entwickler geschrieben. Hier stelle ich das Buch und die Geschichte dahinter vor. In 2016 I wrote the german book Shopware: Das Handbuch für Entwickler (Shopware: Developer's manual). Here you will learn the story of this book. Some years ago I played around with Gstreamer quite a lot. Gstreamer is an open source multimedia framework which allows you to deal with video and audio sources of any kind and play, convert or mux them to your needs. The nice thing with Gstreamer is the fact, that it is very powerful on the one hand, but very good to test and play around with on the other hand. For example it provides tools to run and inspect the various filters, sources and converters easily. Also it has bindings to e.g. Python, so you can use them in a native way, without the need to run shell commands from within your script. Yesterday I found, that Gstreamer also has siddec decoder, which allows you to deal with SID files. So this blog post is about playing retro C64 SID files with Gstreamer. In "How we used computer vision for testing" I give a quick introduction in e.g. Sikuli or SimpleCV with some nice examples and describe, how we made use of techniques of these, to perform integration tests for our application. Even though we decided not to maintain that solution any more because of several problems - I think it was a pretty cool setup and might be worth a read :). Some time ago I wrote a simple PDO query inspector, which will parse every SQL query of your application and search for constant query parts. Those constant query parts are not necessarily SQL injections - but it might be a good development tool, to collect potentially problematic query. Read more in the "inspecting PDO queries" blog post in our Shopware blog or check out my PDO inspector repository. In best practices of Shopware plugin development I tried to summarize some of my Shopware experiences of the last years into a "best practice" guide regarding plugin architecture, unit tests, clean code and e.g. using composer. After a conference talk I decided to try out Neo4j - a pretty cool graph database. The result was a simple recommendation plugin, that can be used in Shopware. Find out more in the "graph based recommendation engine for Shopware" blog post or check out my simple recommendation engine on github. 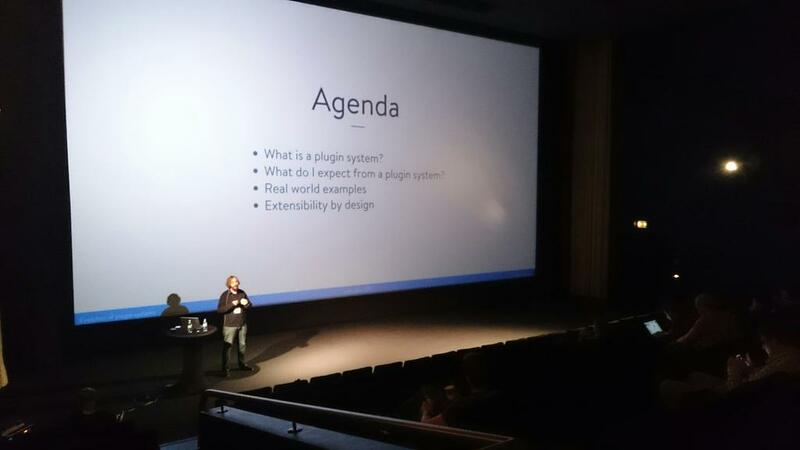 At the code.talks 2015 conference I had the pleasure to speak about "evolution of plugin systems". In that talk I had a quick look at the requirements developers usually have, when they decide to bring a plugin system into play. Furthermore I showed some examples of ways to extend software and discussed advantages and disadvantages. This will install the fast import extension to bazaar, which will allow you to import the bazaar commits to git using git fast-import command. Now navigate to your bazaar project and init the git repository, if you haven't done so, yet: git init. Today I am starting to migrate my homepage from the existing Wordpress installation to Sculpin. There was not lot of traffic going on the last few years - but I hope, that I will be able to give a few of my last script and tools a quick update. In Generating plugins with the CLI tools I show how to create shopware plugins with a simple code generator I wrote. This code generator is a command inside the SF2 based console application "sw-cli-tools".